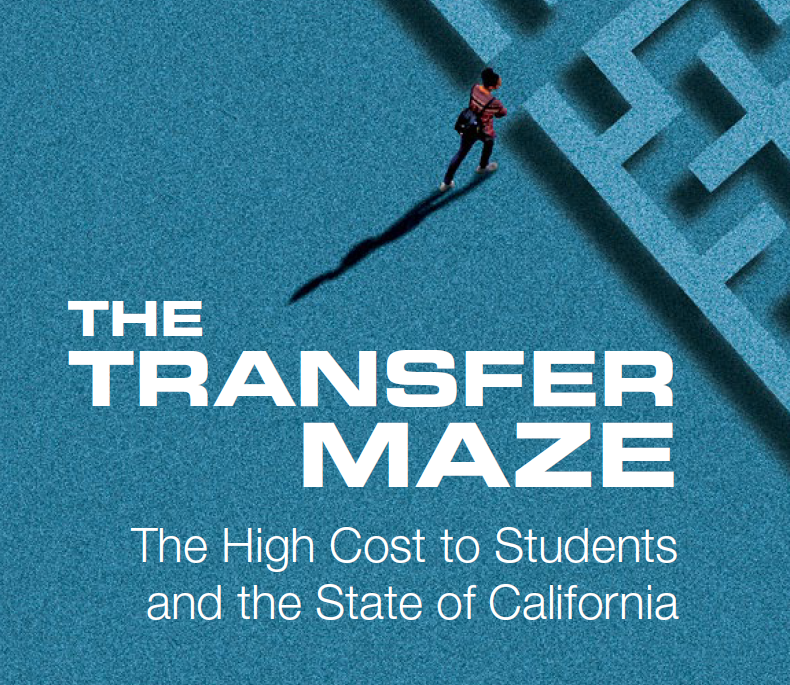 This report highlights the critical role transfer plays in producing college graduates and providing economic opportunity, and the unnecessary barriers that impede transfer for far too many Californians, resulting in high costs to students and the state. Although the majority of California community college students enroll wanting to transfer, students transferred at an average rate of only 4% after two years of enrollment, 25% after four years of enrollment, and 38% after six years of enrollment. For the state, these low transfer rates yield high costs associated with a minimum number of seats available to new students and lost tax revenue from people with delayed entry into the workforce or whose economic prospects are reduced as a result of an unfinished degree. For the student starting at a community college, she or he may pay $36,000-$38,000 more to obtain a bachelor’s degree than would a student enrolling directly at a four-year college.